Shrewsbury Steam Rally takes place at Onslow Park, Shrewsbury, over August Bank Holiday Sunday and Monday. 26-27 August. The event features Over 1,000 exhibits including steam-powered vehicles of all kinds either static or in action, from Steam Rollers, Traction Engines, Fairground showman’s Engines, Sentinel Steam Lorries, classic motorbikes, Steam-powered tractors, Historic military vehicles, Vintage tractors, Veteran and classic cars, motorbikes and commercial vehicles, threshers, oil, steam-powered static engines and miniature Traction Engines. Plus an olde Time Fairground fairground featuring organs and gallopers. There is also an agricultural display On the working field bringing the past back to life with a range of demonstrations including teams of shire horses which will plough part of the site, as well as steam-powered cultivation showing the history of farming as it has changed through the last century. Plus a Tug of War and a birds of prey demonstration in the main arena. Food and drink is also on offer from many stalls around the ground, as well as a licensed bar Plus a craft and hobbies marquee and 6 acres of trade stands. They were the most accurate survey of the area and were used in the British Relief of Khartoum. Following the successful completion of the Forth Railway Bridge in 1890, Fowler was created a baronet, taking the name of his Scottish estate as his territorial designation. Along with Benjamin Baker, he received an honorary degree of Doctor of Laws from the University of Edinburgh in 1890 for his engineering of the bridge. In 1892, the Poncelet Prize was doubled and awarded jointly to Baker and Fowler. Fowler died in Bournemouth, Dorset, at the age of 81 and is buried in Brompton Cemetery, London. He was succeeded in the baronetcy by his son, Sir John Arthur Fowler, 2nd Baronet sadly he died 25 March 1899 and The baronetcy became extinct in 1933 on the death of Reverend Sir Montague Fowler, 4th Baronet, the first baronet’s third son. Renowned as being the “Father of Railways”, The English civil engineer and mechanical engineer George Stephenson was born on 9 June 1781 in Wylam, Northumberland, near Newcastle upon Tyne. 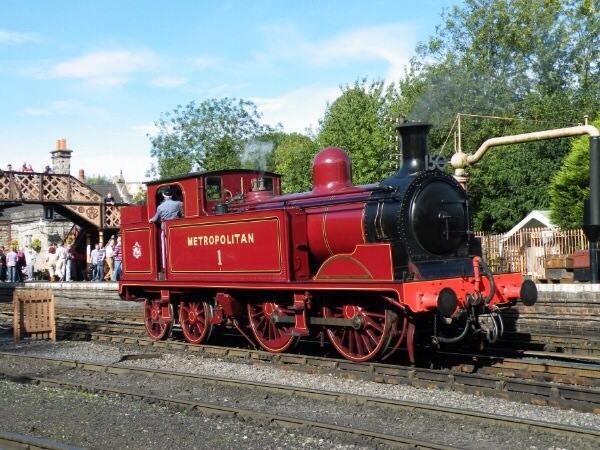 At 17, Stephenson became an engineman at Water Row Pit, Newburn. George studied at night school learning reading, writing and arithmetic. In 1801 he began work at Black Callerton colliery as a brakesman’, controlling the winding gear of the pit. In 1811 Stephenson fixed the pumping engine at High Pit, Killingworth. He did so with such success that he was soon promoted to enginewright for the neighbouring collieries at Killingworth, responsible for maintaining and repairing all of thec olliery engines. He soon became an expert in steam-driven machinery. In 1815, Stephenson began to experiment with a safety lamp that would burn without causing an explosion in the mine. At the same time, Cornishman Sir Humphry Davy, the eminent scientist was also looking at the problem. Despite his lack of any scientific knowledge, Stephenson, by trial and error, devised a lamp in which the air entered via tiny holes. Stephenson demonstrated the lamp himself to two witnesses by taking it down Killingworth colliery and holding it directly in front of a fissure from which fire damp was issuing. This was a month before Davy presented his design to the Royal Society. The two designs differed in that, the Davy’s lamp was surrounded by a screen of gauze, whereas Stephenson’s lamp was contained in a glass cylinder. For his invention Davy was awarded £2,000, whilst Stephenson was accused of stealing the idea from Davy. A local committee of enquiry exonerated Stephenson, proved that he had been working separately and awarded him £1,000 but Davy and his supporters refused to accept this. They could not see how an uneducated man such as Stephenson could come up with the solution that he had. In 1833 a House of Commons committee found that Stephenson had equal claim to having invented the safety lamp. Davy went to his grave believing that Stephenson had stolen his idea. The Stephenson lamp was used exclusively in the North East, whereas the Davy lamp was used everywhere else. The experience with Davy gave Stephenson a life-long distrust of London-based, theoretical, scientific experts. There is a theory that it was Stephenson who indirectly gave the name of Geordies to the people of Tyneside. By this theory, the name of the Geordie lamp attached to the pit men themselves. By 1866 any native of Tyneside could be called a Geordie. Cornishman Richard Trevithick is credited with the first realistic design of the steam locomotive in 1802. Later, he visited Tyneside and built an engine there for a mine-owner. Several local men were inspired by this, and designed engines of their own. Stephenson designed his first locomotive in 1814, a travelling engine designed for hauling coal on the Killingworth wagonway, and named Blücher after the Prussian general Gebhard Leberecht von Blücher. This locomotive could haul 30 tons of coal up a hill at 4 mph (6.4 km/h), and was the first successful flanged-wheel adhesion locomotive: its traction depended only on the contact between its flanged wheels and the rail. The new engines were too heavy to be run on wooden rails, and iron rails were in their infancy, with cast iron exhibiting excessive brittleness. Together with William Losh, Stephenson improved the design of cast ironrails to reduce breakage; these were briefly made by Losh, Wilson and Bell at their Walker ironworks. According toRolt, he also managed to solve the problem caused by the weight of the engine upon these primitive rails.He experimented with a ‘steam spring’ (to ‘cushion’ the weight using steam pressure), but soon followed the new practice of ‘distributing’ weight by utilising a number of wheels. For the Stockton and Darlington Railway, however, Stephenson would use only wrought iron rails. Stephenson was hired to build an 8-mile (13-km) railway from Hetton colliery to Sunderland in 1820. The finished result used a combination of gravity on downward inclines and locomotives for level and upward stretches. It was the first railway using no animal power. In 1821, a parliamentary bill was passed to allow the building of the Stockton and Darlington Railway (S&DR). This 25-mile (40 km) railway was intended to connect various collieries situated near Bishop Auckland to the River Tees at Stockton, passing through Darlington on the way. The original plan was to use horses to draw coal carts on metal rails, but after company director Edward Pease met Stephenson he agreed to change the plans. Stephenson surveyed the line in 1821, assisted by his eighteen-year-old son Robert. That same year construction of the line began. A company was set up to manufacture locomotives for the railway, It was named Robert Stephenson and Company, and George’s son Robert was the managing director. In September 1825 the works at Forth Street, Newcastle completed the first locomotive for the new railway: originally named Active, it was soon renamed Locomotion. It was followed by “Hope”, “Diligence” and “Black Diamond”. The Stockton and Darlington Railway opened on 27 September 1825. Driven by Stephenson, Locomotion hauled an 80-ton load of coal and flour nine miles (15 km) in two hours, reaching a speed of 24 miles per hour (39 km/h) on one stretch. The first purpose-built passenger car, dubbed Experiment,was attached, and carried dignitaries on the opening journey. 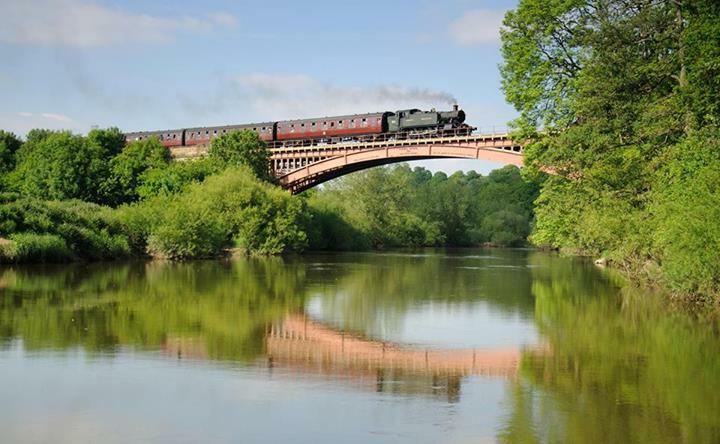 It was the first time passenger traffic had been run on a steam locomotive railway. Although Richard Trevithick had demonstrated the idea back in 1808 using catch-me-who-can on a circular track which was situated near the present day Euston Station.The rails used for the new line were wrought-iron rails which could be produced in much longer lengths than the cast-iron ones and were much less liable to crack under the weight of heavy locomotives and The gauge that Stephenson chose for the line was 4 feet 81⁄2 inches (1,435 mm), and this subsequently came to be adopted as the standard gauge for railways, not only in Britain, but also throughout the world. Stephenson had also ascertained by experiments at Killingworth that half of the power of the locomotive was consumed by a gradient as little as 1 in 260 & came to the conclusion that railways should be kept as level as possible. He used this knowledge while working on the Bolton and Leigh Railway, and the Liverpool and Manchester Railway (L&MR), executing a series ofdifficult cuts, embankments and stone viaducts to smooth the route the railways took. 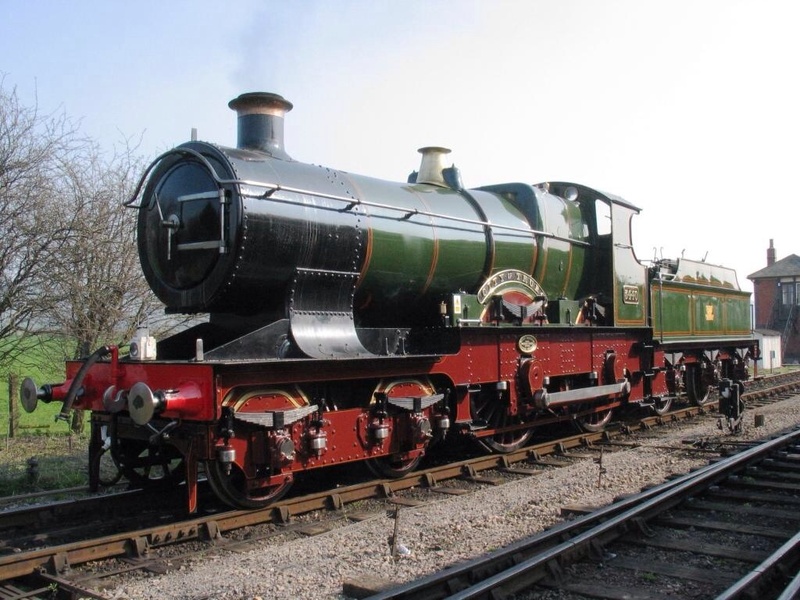 As the L&MR approached completion in 1829, its directors arranged for a competition to decide who would build its locomotives, and the Rainhill Trials were run in October 1829. Entries could weigh no more than six tons and had to travel along the track for a total distance of 60 miles (97 km). Stephenson’s entry was Rocket, and its performance in winning the contest made it famous. The opening ceremony of the L&MR, on 15 September 1830, was a considerable event, drawing luminaries from the government and industry, including the Prime Minister, the Duke of Wellington. The day started with a procession of eight trains setting out from Liverpool. The parade was led by “Northumbrian” and included “Phoenix”, “North Star” and “Rocket”. The railway was a resounding success and Stephenson became famous, and was offered the position of chief engineer for a wide variety of other railways.1830 also saw the grand opening of the skew bridge in Rainhill as part of the grand opening of the Liverpool and Manchester Railway. The bridge was the first to cross any railway at an angle. This required the structure to be constructed as two flat planes (overlapping in this case by 6′) between which the stonework forms a parallelogram shape when viewed from above. This has the effect of flattening the arch and the solution is to lay the bricks forming the arch at an angle to the abutments (the piers on which the arches rest). This technique, which results in a spiral effect in the arch masonry, provides extra strength in the arch to compensate for the angled abutments. His work on the Stockton and Darlington Railway and the Liverpool and Manchester Railway, paved the way for the railway engineers who were to follow, such as his son Robert, his assistant Joseph Locke who went on to carry out much work on his own account and Isambard Kingdom Brunel. These men were following in his footsteps. Stephenson was also farsighted inrealising that the individual lines being built would eventually join together, and would need to have the same gauge. The standard gauge used throughout much of the world is His rail gauge of 4 feet 81⁄2 inches (1,435 mm), sometimes called “Stephenson gauge”, is the world’s standard gauge.